Are you looking for a reliable Limo Service in New York City? In the event that you need an excellent Limousine Transportation Service for any type of gathering or application, Riverside Car Limo can be the ideal option for you. Have a great night on the town with our party bus New York City services that can fit every one of your companions and take you for fun excursion around New York. Take your transportation to the next level and show up to your party venue in style. Our drivers are outright experts in the field of New York Transportation, and they will transport you where you need to go in an efficient and luxurious manner. Regardless of whether it’s a special night or if you just need to relax with companions, a Party Bus in NYC can exactly what you need. 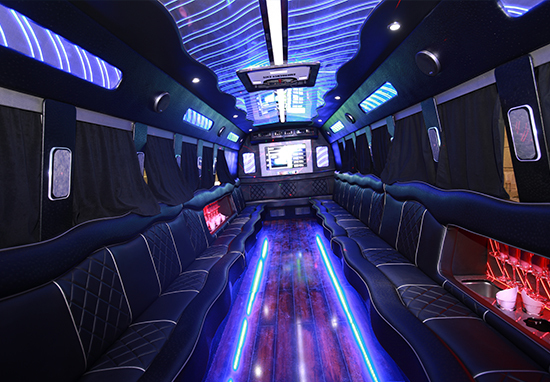 Our Party Bus Rental New York Services have made us a leading service provider in our industry all around the nation. Get in touch with us today and speak to one of our specialists concerning our current deals and packages for all of your party bus needs for your next event.